Dr. Mason Miner now accepts new patients from Cortez, CO in need of dental implants, a natural-looking and permanent tooth replacement option. If tooth replacement treatments are not received for missing teeth, the adjacent teeth will often shift and fill in the gap. In some cases, this can lead to bite, or occlusion, problems as well as discomfort and loss of normal dental functionality, cavities and appearing pre-maturely older. Dental implants are a good solution for many people who have lost one or more teeth, because they take the place of both the roots and the visible portions of the missing teeth. Each implant is made of a strong titanium post that, when placed into the bone, stimulates bone growth and avoids bone density loss. Depending on factors such as the patients’ jawbone density, oral health, and medical history, implants may not be a recommended treatment option. Each patient considering dental implants will first undergo a thorough examination by Dr. Miner to see if they are a good candidate for the procedure and to learn all of their tooth replacement options. Patients from Cortez, CO in need of tooth replacement procedures are encouraged to visit Dr. Miner’s practice and learn if they are good candidates for dental implants. Consultations and treatment appointments may be scheduled by calling the office during normal business hours at (970) 306-0535, or by visiting his website at http://www.masonminerdds.com. 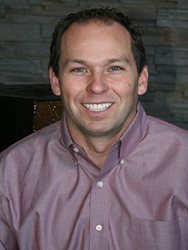 Dr. Mason Miner is a general dentist offering personalized dental care for the entire family, in Durango, CO. Dr. Miner is a graduate of Marquette University School of Dentistry in Milwaukee. Beyond that, he also completed training in Advanced Education in General Dentistry at the University of Missouri, Kansas City. Dr. Miner focused his studies on the surgical placement and restoration of dental implants, which he offers as a service at his practice. Dr. Miner is a member of the American Academy of Facial Esthetics, American Dental Association, the Colorado Dental Association, and the San Juan Basin Dental Society. To learn more about the services offered by Dr. Miner, please visit his website at http://www.masonminerdds.com or call (970) 306-0535 to schedule an appointment.